Sewer hose lets you drain your RV's black-water and gray-water tanks at a dump station. Adapters (sold separately) are required for connecting to RV's waste valve. Sizing rings keep hose ends open. 8-Mil vinyl construction. Lowest Prices for the best rv sewer from Quick Drain. 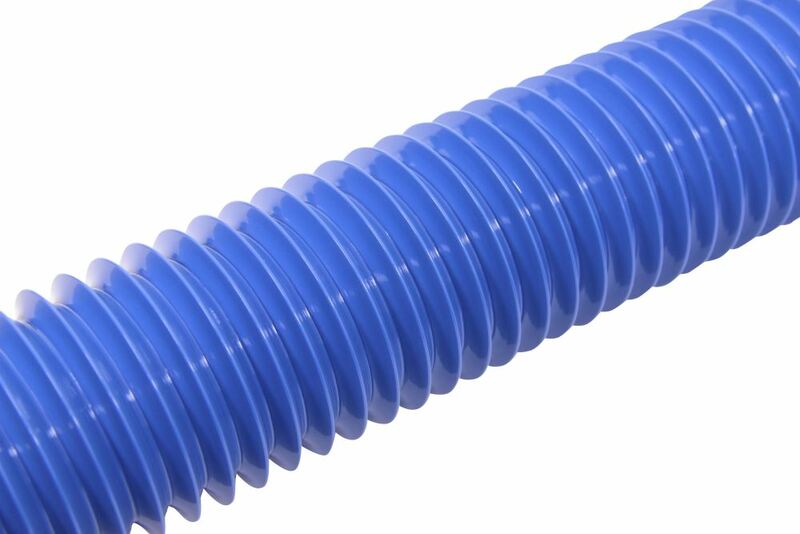 Quick Drain RV Sewer Hose - Blue - Vinyl - 20' Long part number D04-0048 can be ordered online at etrailer.com or call 800-298-8924 for expert service. Leakproof camlock fittings, a user-friendly nozzle with a shut-off valve, and a durable hose on this Waste Master kit make emptying your RV's sewage tank less of a mess. The camlock fitting easily installs over your RV's existing outlet. 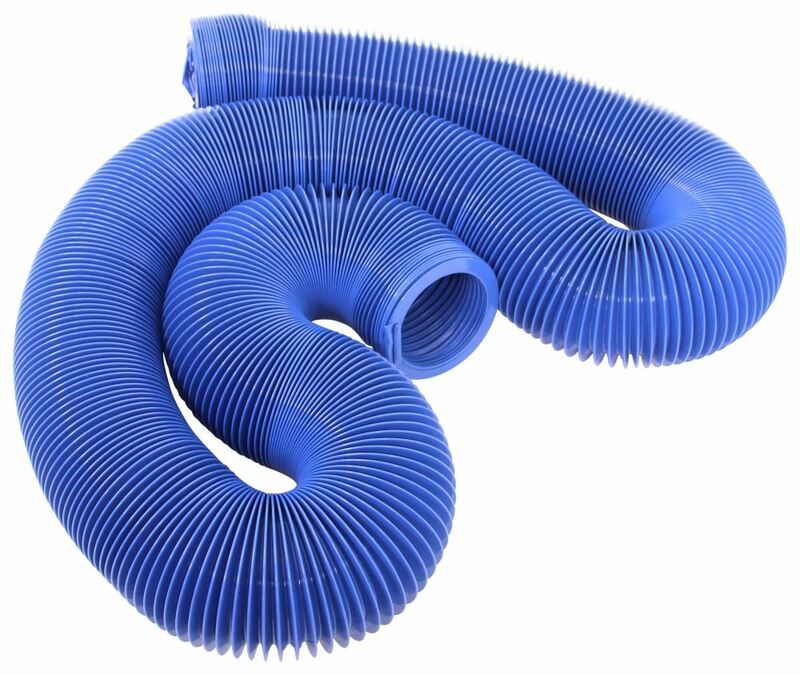 Today we're going to be taking a look at the Quick Drain RV Drain Hose. This is going to have a full extension of up to 20' long and as you can see it compresses for compact storage. You can see how it extends. All you have to do is make your connections, pull one end out to where you need it and it's going to extend automatically. Again, it compresses or contracts for compact storage. 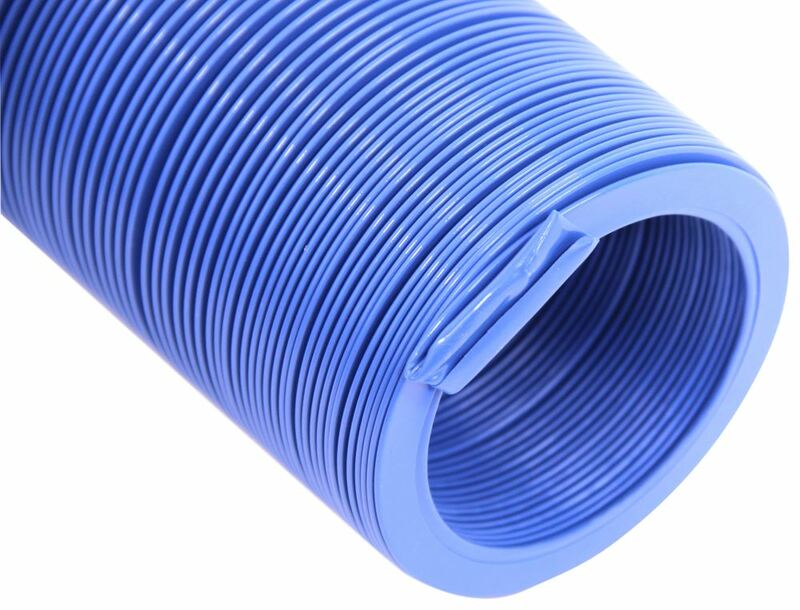 This is a 3" diameter hose that's blue in color. It's going to have an 8 Mil wire reinforced vinyl cover. That's going to protect against chemicals and corrosion, it's going to work well and remain flexible in extreme temperatures. Your hose fittings and hose clamps are sold separately, this will work with standard fittings. With standard fittings you will need to use a clamp, it also is designed to work with EZ Coupler hose fittings, With EZ Coupler hose fittings you do not need to use clamps. If you're in need of fittings you can find those right here at etrailer.com. That's going to do it for today's look at the Quick Drain RV Drain Hose. Order: RelevanceNewestRating - High to LowRating - Low to High Sewer hose lets you drain your RV's black-water and gray-water tanks at a dump station. Adapters (sold separately) are required for connecting to RV's waste valve. Sizing rings keep hose ends open. 8-Mil vinyl construction.